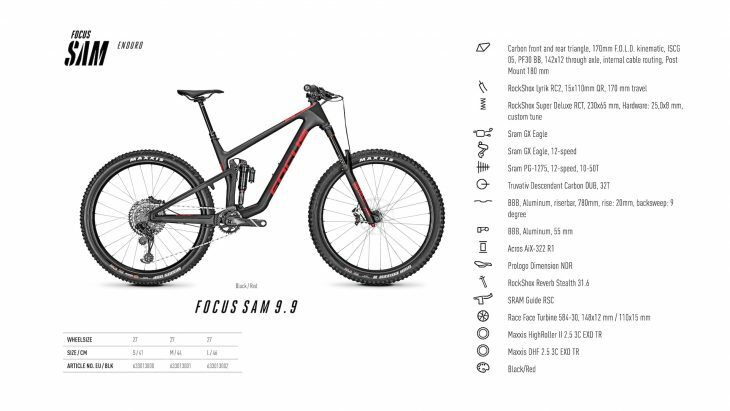 This is the top-specced SAM, the 9.9, with full carbon front and rear and a RockShox spec. 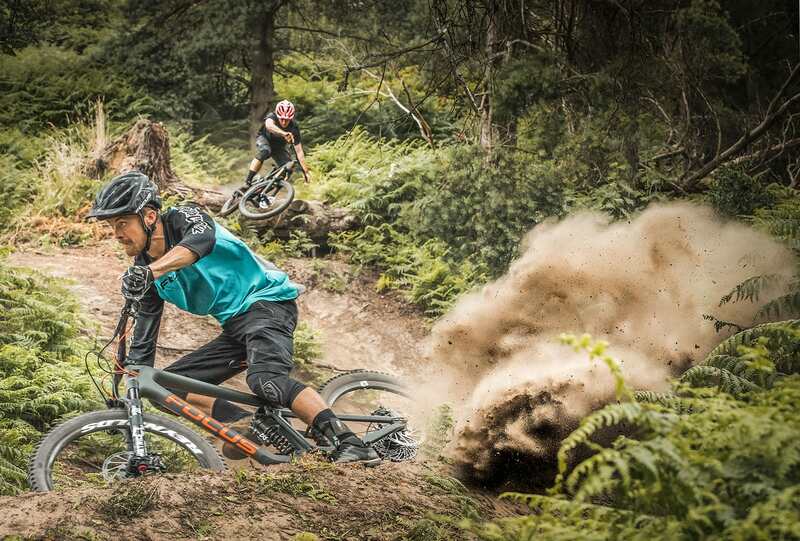 If you don’t fancy the black on black look, the 8.9 isn’t far behind. 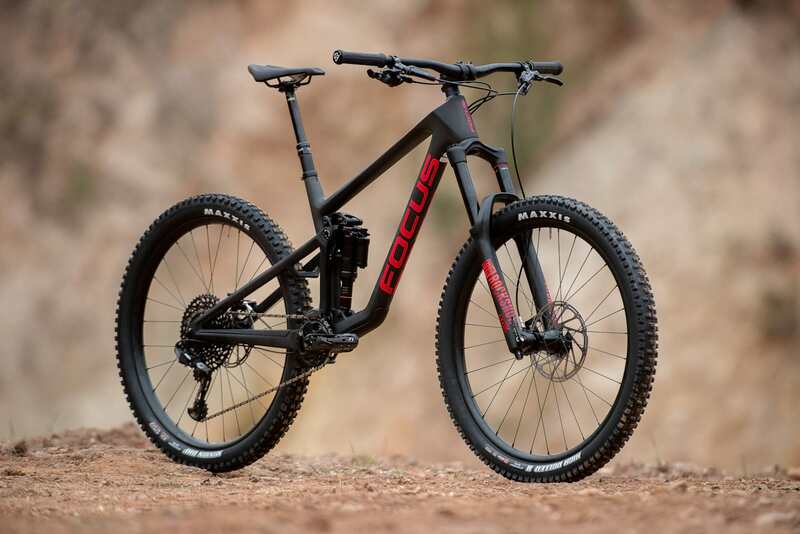 Today, Focus launches its new 170mm enduro bike. 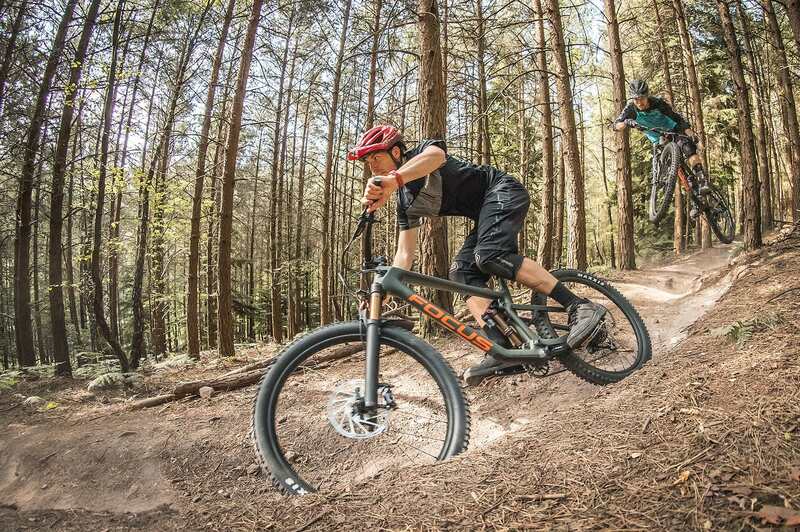 It’s called the SAM (just like the old one) and features 170mm travel front and rear. 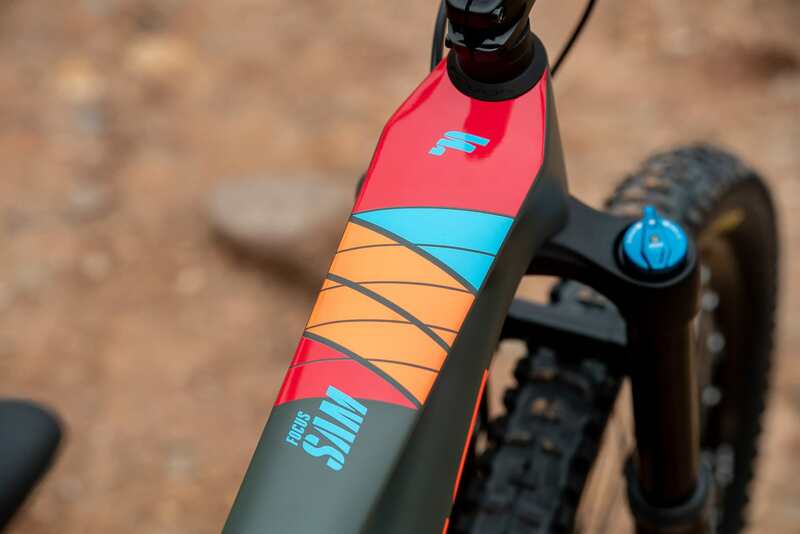 And if it looks a little familiar, it’s because the same looking design is used on the existing Focus SAM2 (Sam Squared) e-bike that we showed you last year. 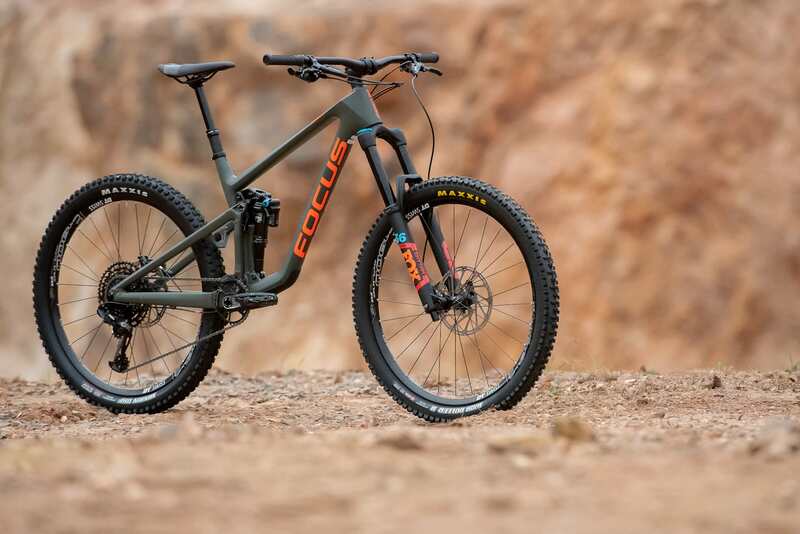 Focus defines it as a “lifestyle/“all-mountain” bike rather than a pure enduro race bike, and has designed the geometry and linkage kinematics around fun rather than outright speed. 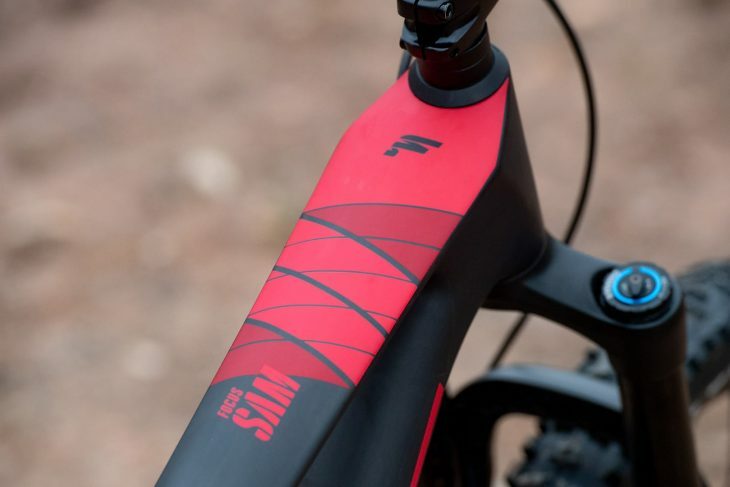 The new bike uses the “FOLD” (Focus Optimised Linkage Design)system as found on the current SAM2 and JAM bikes. 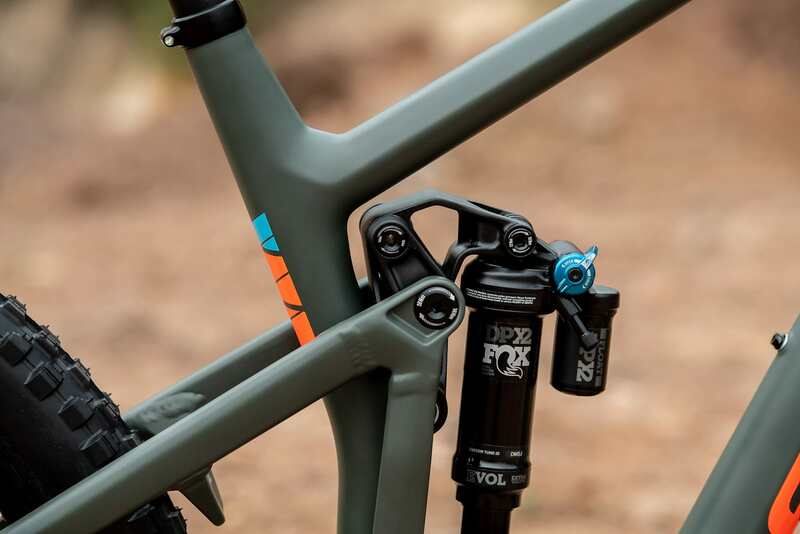 This linkage system comprises of a main linkage which connects to the shock, and is designed to be very stiff; and a secondary guide link which is engineered to have a small amount of flex to allow a more forgiving back end. The linkage produces a ratio curve which initially increases to the sag point (at 55mm) before falling as it goes through the travel. This means that it gets progressively harder through the travel. 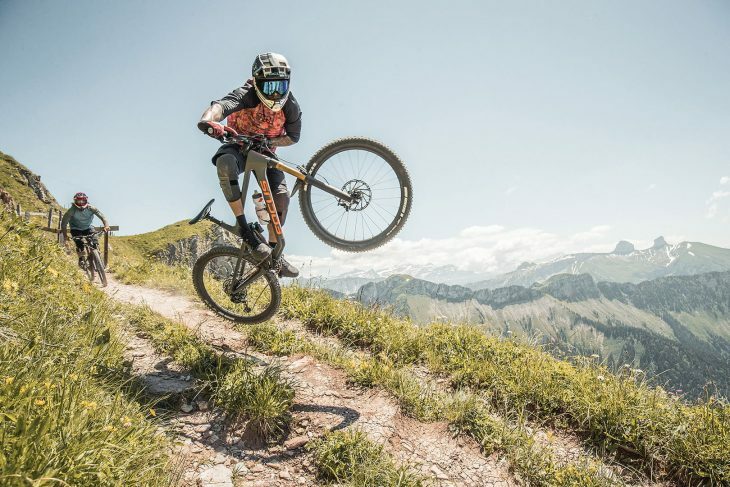 Although some of the athletes are running coil shocks, it has been designed around (and apparently works best with) air. 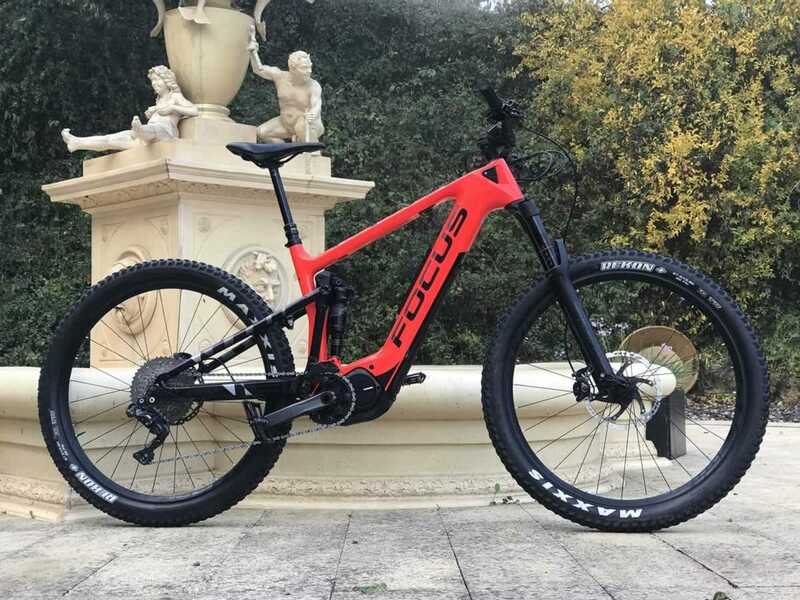 Stack 600mm, Reach 420mm, Seat Tube 400mm. We have to admit, the 8.9 is a good looker. Possibly more so than the full carbon job. The 9.9 is a little more, golf perhaps? The new frame is 400g lighter than the old one (now 2337g frame-only weight in size medium). 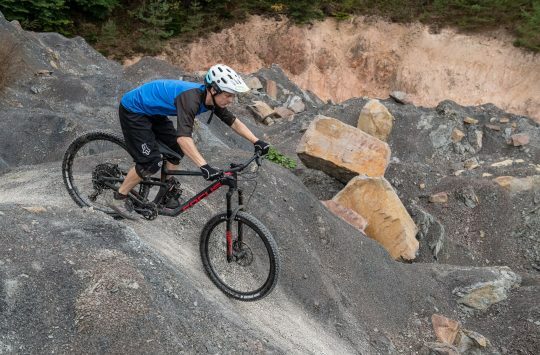 Much of this weight has been lost on the back end of the bike, reducing unsprung mass. Geometry is updated on the previous SAM, reducing seat tube lengths and making everything a little slacker and longer as you might expect. 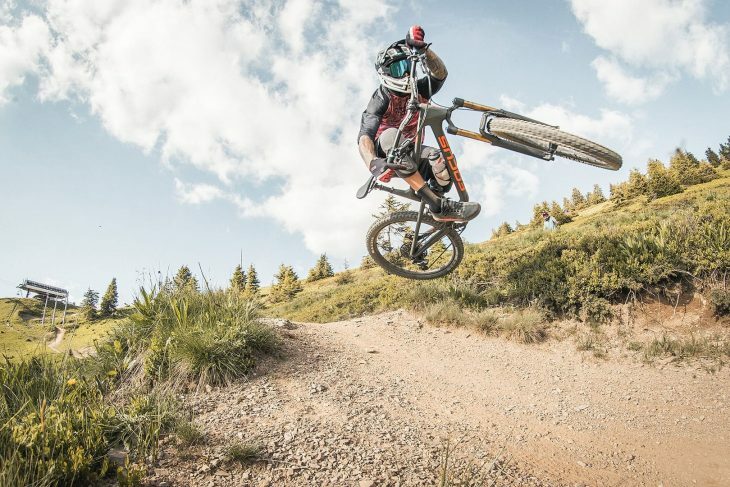 For the medium sized bike, seat tube is 425mm, reach is 440mm, head angle 64.8 degrees. 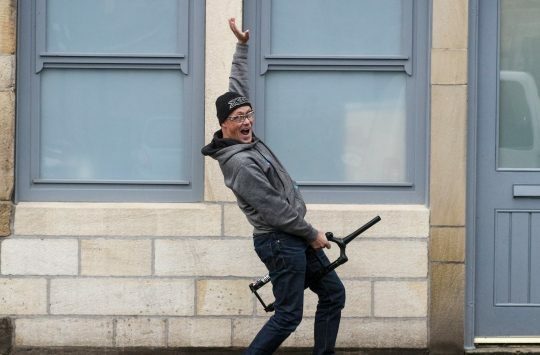 The new bike also now includes bottle bosses. Bikes we’ve seen so far are the Sam 9.9 and 8.9. The first part of the number (9.x or 8.x) refers to the frame platform. 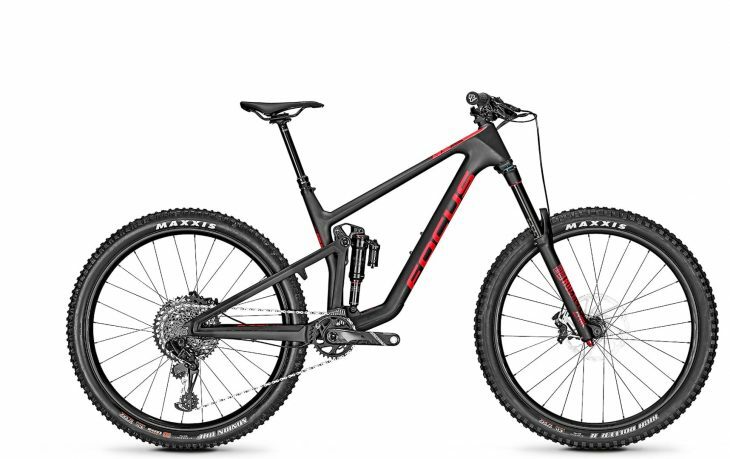 The 9.x means that it is carbon front and rear. 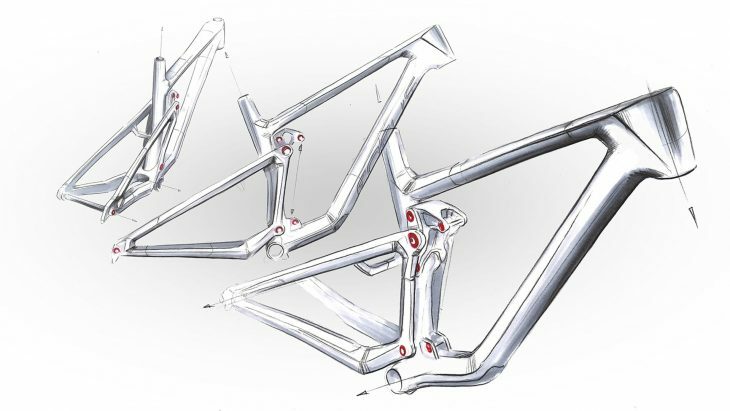 Bikes beginning with 8.x have a carbon front triangle and aluminium rear. 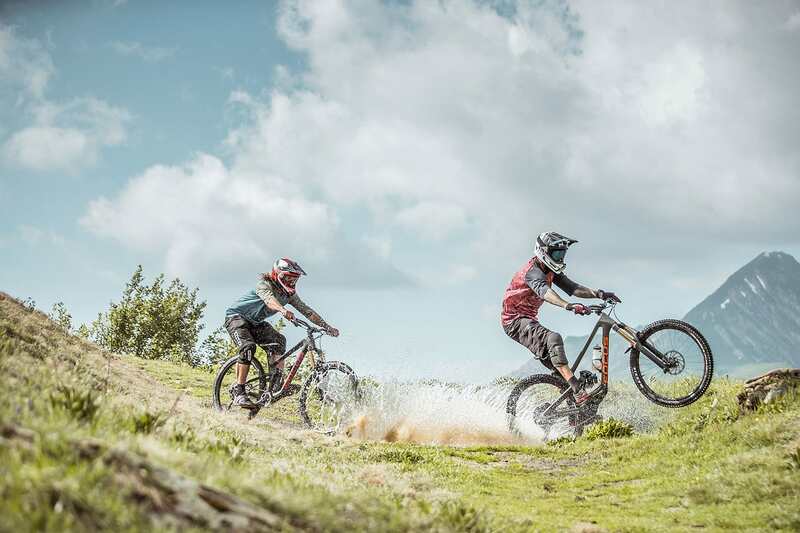 The second number refers to the spec level, hence 9.9 is the top spec carbon bike, 8.9 is the top spec carbon /alu bike. 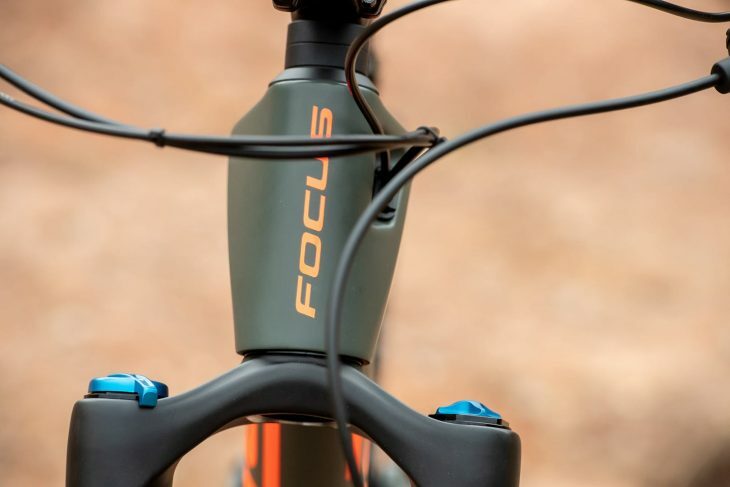 Though it’s obviously aimed at enduro-racers, Focus reckons it’s not all full-face-fun. 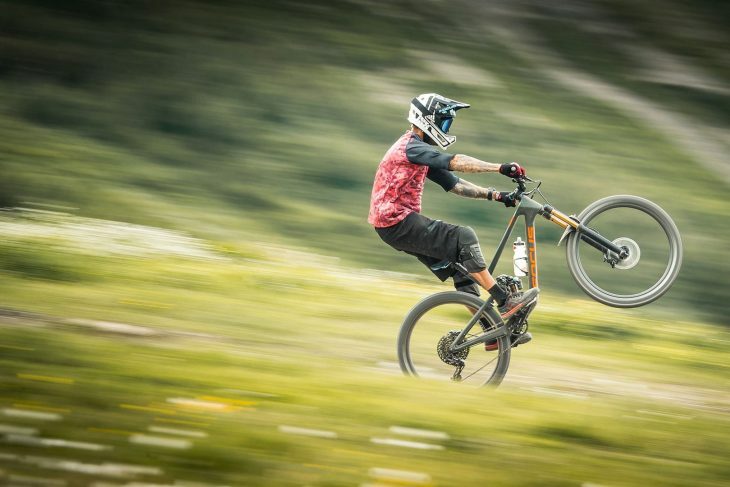 …though it does seem to have a particularly light front wheel. See? He can barely keep it on the ground. This is also where the SAM is designed to excel – racing your mates.